Are you a soccer fan? Have you always dreamt of managing your own football team and taking it to the champion league? 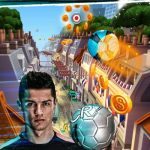 Well now you do not have to be a millionaire to achieve your dreams because the latest soccer simulation game is here to fulfill them for you. Kings of Soccer is an arcade soccer game and has an extremely addictive gameplay. The game has been developed and released by Hugo Games A/S and is free to download and play on iOS devices from the Apple iTunes store as well as on Android devices via the Google Play Store. The game comes in a reasonable package size of only 231 MB and provides amazing graphics and gameplay for that size. Kings of Soccer has been receiving consistently good reviews from players of all ages. The developers also keep rolling out updates according to user demands and bug reports. 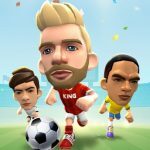 The latest version of Kings of Soccer is 1.0.36 and was updated on 17 April 2018 bringing with it improved gameplay and bug fixes. Kings of Soccer uses traditional soccer mechanics and physics in its gameplay but it is different from it because you have only 5 players on your team. This does not change the fact that you still have to predict the strategies of your opponent in order to progress effectively. The most exciting feature of Kings of Soccer is the online real time multiplayer mode. This mode allows you to create your own team with upgradeable players and play in matches against people who have a similar level as you. Since you are matched at random with players from all around the world and each would have their own style of play, the multiplayer feature adds a whole new competitive edge to soccer simulation games in Kings of Soccer. The beginner tutorials will serve to familiarize you with the basics of the game and how to control the movements of your team players on the field. However, Kings of Soccer has a difficulty curve which becomes harder and harder to overcome as you progress to the higher leagues. This is why you need to employ some strategies and tricks in order to beat this ever rising difficulty level and allow yourself to get ahead of the game. Our Kings of Soccer guide has all the cheats, tips and tricks for you to rise up to every challenge that the game throws at you and to get you started on the fastest path to build a world class soccer team. Kings Of Soccer is different from most soccer simulation games due to the feature that you have to play in the matches as well as form the best team. This means that it is not only enough to have the best team on the field; you also have to perform well in the match and win against your opponent in order to progress further to the higher leagues. The amazing graphics of this game and highly detailed player appearances could fool you into thinking that it has a FIFA like gameplay but nothing could be further from the truth. 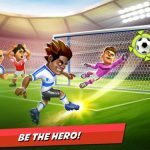 Kings of Soccer has a unique nudging and sliding control mechanism which is extremely addictive and difficult to master at the same time. It is also pertinent to mention that Kings of Soccer uses a turn-based gameplay which means that once you have made a move on the field, you have to wait for the opponent to act to get your turn again. This also means that once you have made your move, you cannot go back and change the movements or positions of your players on the field so you need to think carefully before making a move. This is also very important because there is a hit and bounce mechanism when you strike an opponent player who is in your path. Think of it as pinball where the football will keep on bouncing from the walls or any players on the field. Therefore if you see the opponent team making a move towards your goal you should position your defenders using your turn so that the football bounces off them and your goal is protected at all times. Learning to master the hit and bounce mechanism in Kings of Soccer should be your primary objective while playing the game because it gives you a definite competitive edge in the real time online multiplayer mode. While trying to achieve this objective you also have to learn how to control the intensity of your nudges so that you are able to position your players as desired on the soccer field. The developers have made this a little easy for you by incorporating sounds and a visible change in color when you hold down on any player in a certain direction. Holding down for a longer time indicates that he will fly off into the distance with a great amount of speed and strike the football and any players in his path. Using the high intensity nudging tactic is good for situations where you might find yourself blocked by the opponent team or if they are very close to your goal and you can sense danger. A high intensity nudge will basically cause mayhem on the field and rearrange all the players making your opponent confused and he will have to think about his moves all over again. Similarly you also need to focus upon low intensity nudges as they provide a greater amount of accuracy to your shots. Low intensity nudges are especially good for when you are near the opponent goal and you luckily do not have many defenders in front of you to block the shot. In such situations, you should gently swipe down and release as fast as you can while maintaining a good direction for the shot. If you do this correctly, scoring a goal is almost guaranteed and the opponent player will always be surprised. This is because most of the time, players at low levels tend to use high intensity nudges for the entire duration of the game. After you have mastered control over the gameplay mechanisms and start winning matches, you need to start focusing on the simulation side of Kings of Soccer. This is because it is still a soccer simulation title at its core and to progress further you will need to form an effective winning team to help you achieve your football manager dreams. The developers have given you two possible ways to do this. If you are a pay to play player and do not mind spending real money on the games that you enjoy, there is an option to purchase some of the greatest football clubs in the world for $7.99. These club packs will give you the best 5 players from the team that you purchase as well as unlock the special upgrades and boosts for those players. Currently there are 5 team packs which you can purchase for this price which include Real Madrid, Liverpool, PSG, Juventus and FC Barcelona. More teams are being added to this list with updates by Hugo Games. If you are an enthusiastic player however who wants to find his own Cristiano Ronaldo and make him into the superstar of the soccer world, you have to go through the hard lane. This means making continuous upgrades and purchasing upgrade packs with the hard earned cash that you obtain after winning matches in the real time online multiplayer mode. The developers have made it extremely hard for you to collect a large amount of cash in a short time so if you find this very frustrating, you can purchase a “small cash pack” using $1.49 to ease some of your money troubles. However there is a hidden trick in the game which you can also exploit to your advantage and earn cash quicker than most people would be able to. The trick is not to upgrade any of the players on your team before you obtain enough cash for multiple level upgrades. Using this trick works like a charm because matchmaking in the game depends upon the level of all players in your team and the opponent player’s team. Therefore even if you have played more matches and your opponent is just starting out with the game, you will be able to play in the lower ranks again and again. 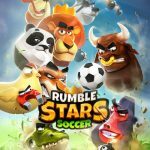 The lower rank games are very easy and quick to win and Kings of Soccer awards you with cash every time you win regardless of how long you stay in the same league. This allows you to play until you get enough cash and then you can immediately bypass two or three league difficulties and get the best upgraded players on your team to play with. A winning team does not solely depend upon maximum upgraded players; it also depends upon the style of your gameplay. Kings of Soccer only has five players per team which means that you must have two defenders. You do have a choice between keeping midfielders or attackers on your team and that would depend upon whether you have a defensive or an aggressive style of gameplay in the matches. If you know for sure that you are an aggressive player, it is best to opt for two attackers and no midfielder making the 1-2-2 combination. This gives you more opportunity to strike whenever the ball is in the opponent’s half as you will have two upgraded strikers positioned near the opponent goal at all times. It also makes for a more exciting and fast paced game and you will be able to move to the higher leagues very quickly if you use your strikers as aggressively as you possibly can. On the other hand, if you know that you are a much better defensive player and can wear out your opponent to achieve a win; your best bet is to go for one midfielder and one striker in your team. This is called the 1-2-2-1 combination and offers you the greatest amount of mobility in the game. The midfielder can be used as a defender as well as a striker depending upon the position of the ball and this feature is very useful when your strategy is to move slow and steady on the field. In the end it all depends upon which combination you think would best fit your style but following the combinations mentioned here will definitely give you an edge over your opponent in Kings of Soccer. An arcade soccer simulation game would always be incomplete without any achievements and rewards for you to brag about to your family and friends. The developers of Kings of Soccer have made sure to include enough achievements that you would require hundreds of hours of gameplay to unlock them all. This combined with the fact that you receive a small cash reward every time you earn or unlock a new achievement serves as a great motivating factor for some of the more lazy players out there. The leaderboard is a real time updated hall of fame for Kings of Soccer which showcases the best players from all over the world and this is another motivating factor for you to perform as well as you can in the game. In addition to all this, Kings of Soccer grants you daily rewards for just logging in to the game and playing matches so you should never miss out from claiming these rewards as the daily login prize goes up exponentially amounting to quite a lot at the end of a successive week of logging into the game. You will probably have a harder time than in most soccer simulation games on the market but following the tips mentioned here will definitely allow you to build a world class team in Kings of Soccer!